One of the first questions anyone asks about Ireland is where to find the best pubs in Dublin. 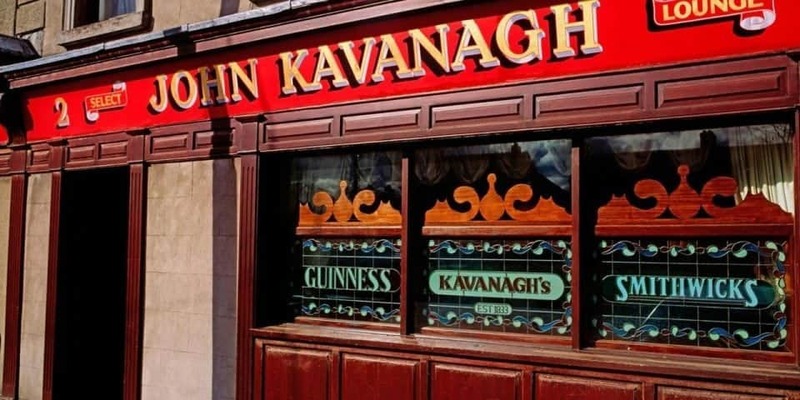 Ireland is a mecca to those who want to check out some of the oldest pubs in Dublin, with a huge variety to choose from. there’s many a famous pub in Dublin that you can grab a pint at. You can pick a Trad Music venue (Trad is short for traditional with bodhrans, fiddles and the like) Literary Pubs, home to some of Ireland’s famous writers or a pubs hundreds of years old. With a vibrant young population, Dublin also has some of the best nightclubs and bars to hang out at. 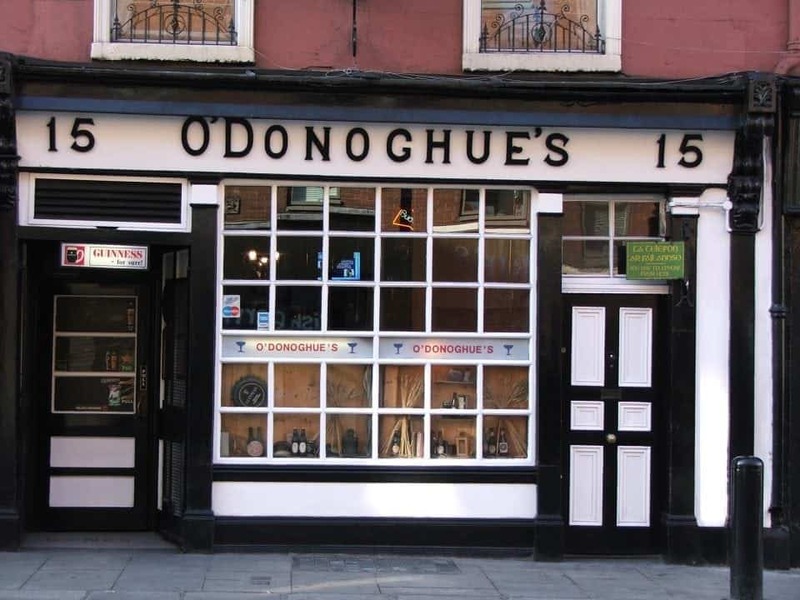 But before you head out for the evening check out some of these Dublin Don’ts. One of the most famous pubs in Dublin. A pub popular with both locals and tourists this one is famous for being the “home” pub of the Dubliners and the best place for authentic trad music. This is one of the absolute best pubs for music in Dublin. Not as well known as O’Donoghues this is another fine Dublin pub perfect for a quiet pint with no loud sorts, TVs or bad entertainment. 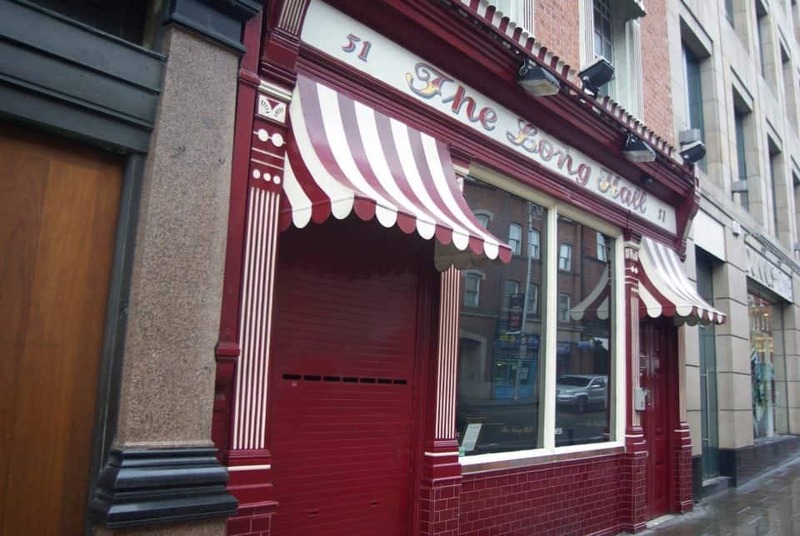 A strong favourite with the Dublin crowds the Long Hall is an old style pub with an ornate Victorian ambience. Its staff pours a perfect pint and it has a stellar reputation for potent gin and tonics. Carved wooden snugs, filigreed mirrors and over the top Victorian decor sets this pub apart from all the others. Many pubs serve food with the drink but if you are looking for something a little different check out these recommendations. Where to Eat in Dublin. A literary pub this is where James Joyce was said to hang out. A little off the beaten path it sits right in the heart of the City. This is a true Irish Pub and relatively unknown among the tourists. Kehoe’s is an old Irish home that was turned into a pub, rather like most pubs out in the Irish countryside. It’s tiny and literally feels like someone’s house, full of nooks and crannies you kind of expect your granny to pop out of the kitchen. It sits just beside Grafton Street. 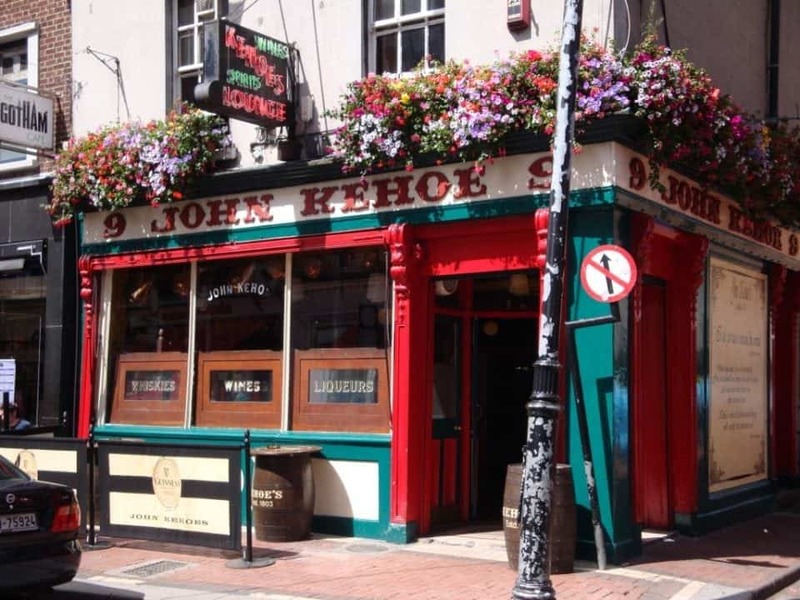 This pub is considered the smallest in Dublin and can hold around 20 people. Worth checking out just to experience the place. A very popular bar with the University and student crowds it hosts trad music during the week and DJ’s on the weekends, lots of street and house music to dance the night away. Reputedly, the best place in town to get a Guinness, the older lady who runs the place is said to pull a “mean pint”. A “traditional” style pub down to the old carpets and furnishings no fancy pub grub or cocktails here, just a quiet place to have a great pint. Open since 1833, Gravediggers sits beside Glasnevin Cemetery and earned its name serving pints to the gravediggers through a specially made window into the graveyard. One of the oldest pubs in Dublin the Gravediggers hosts many an Irish celebrity like Glen Hansard who drops in for a pint of the black stuff. The only thing on tap is Guinness but the restaurant next door serves top rated Italian fare. For the few and proud who can find their way to this North Side fixture, it’s the best pub in all of Dublin. This pub has been around since 1782 and is completely authentic. The wood floors are still damp from gallons of beer spilt on them for centuries, the wooden pew seating is uncomfortable and the ceilings are very low so you duck a lot. But it is said that Mulligan’s pours the best pint of Guinness in Dublin. The first ale pub in Dublin that began to serve the delicious craft beers made in Ireland It is a shabby chic kind of place and on tap are the Galway Bay Brewery ales and other Irish craft brews that can be hard to find in Dublin. They do offer gastro-pub food but the star of the show is the craft beers. 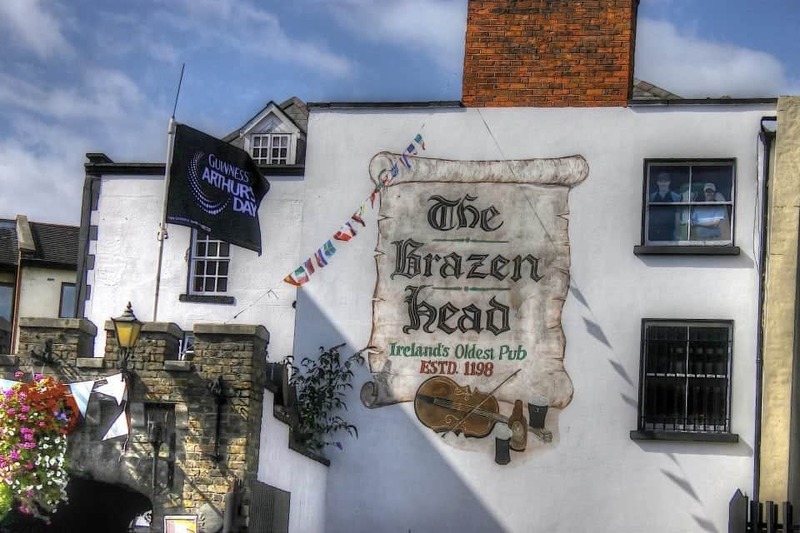 Dating back to the year 1198, the Brazen Head is Ireland’s oldest pub and it’s still a lively spot, and considered one of the best pubs in Dublin for live music every night. The building was originally a coach house (it’s not known how much of the original remains) and walls are lined with old pictures, papers and ads from the past. Famous names that supped a pint or two in the pub include James Joyce, Brendan Behan and Jonathan Swift. For food, tuck into beef and Guinness stew or a big bowl of steamed Irish mussels. 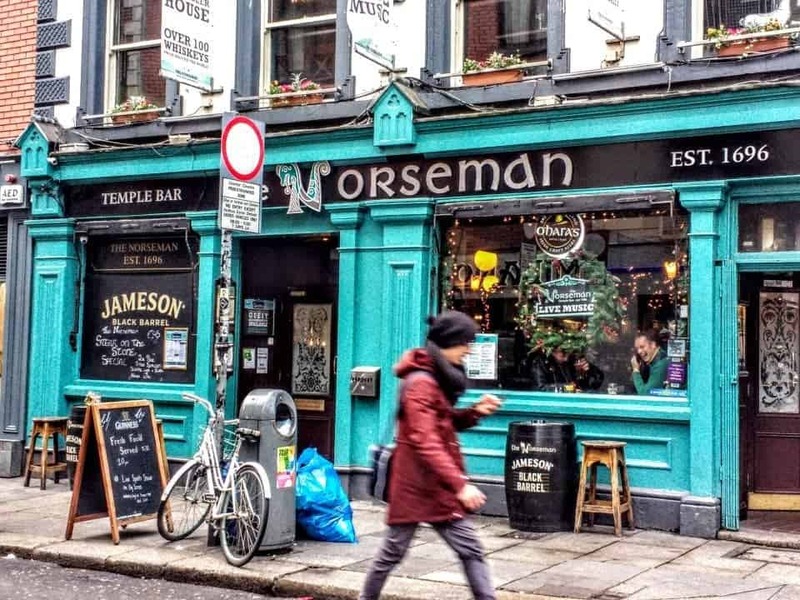 The Norseman is located in Temple Bar and the building as drinking establishment dates back to the 1500’s when it was known as the Wooden Man Tavern due to a wooden Viking figure on the corner of the street. The location of the Norseman was first licensed in 1696 and James Monks owned the bar, James was a blender of whiskey for Jameson’s. The bar prides itself on working with Teelings Dublin’s own whiskey distillery and local craft brewers. One of the trendiest places to hang out and have a cocktail in Dublin The Globe has no pretensions to be anything other than that. Great place to hang out with the in-crowd and it is one of the few bars open late most nights until 2:30 unlike other bars, which close at 12:30. Hogan’s sits a few doors away from The Globe and has the same kind of crowd. But, it has much more space with a dance floor downstairs and is always packed with trendy young things. Find Club M in the Temple Bar district and it is the perfect location for dancing with 2 floors and balcony galleries. 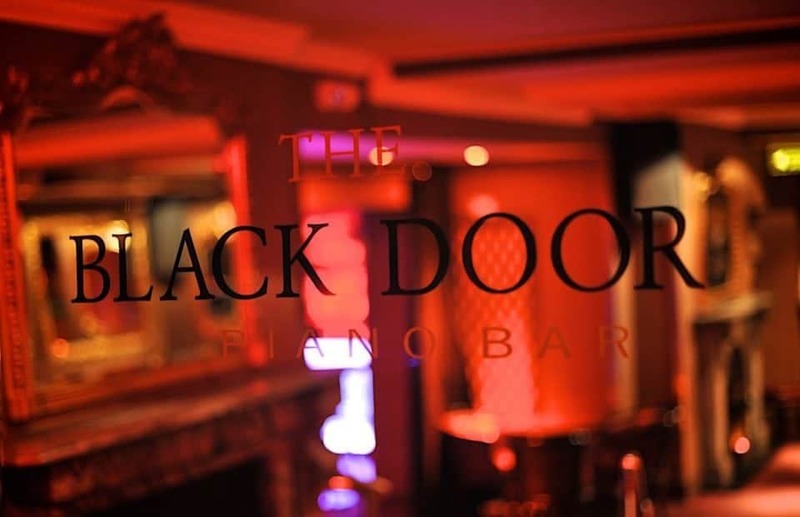 Is considered one of the best places in Dublin to see live bands and great DJ’s. They play host too many international acts and have apparently the best sound and light system in Dublin. One of the best music clubs in Dublin for live current bands. Also known as the “Snail Bar” due to the snail sign outside the front door also the Secret Bar and 3 Fade Street. The ‘No name bar’ came about because when it opened it wasn’t given a name but it has become a trendy location for the young and hip to hang out. Apparently famous for its mojitos and on the weekends serves a mean brunch. 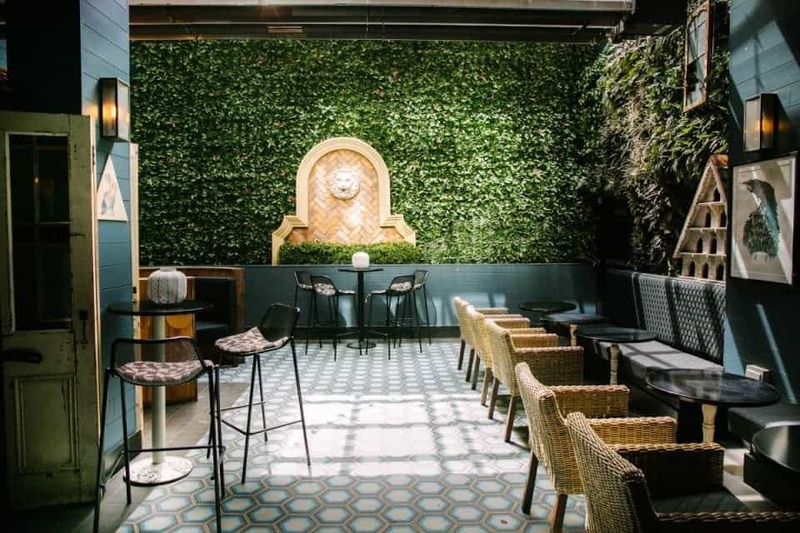 Winner of the 2013 nightclub of the year Everleigh Garden is a unique nightclub. It caters to everyone it can with music from chart hits to 1980s and electro-house. Its Mediterranean feel and outdoor vibe make you feel like you’re a world away from the City. A cosy wine cellar that doubles as a wine bar with food prepared and served by the Chefs from the gourmet restaurant on the top floor. It is a wine shop but you can choose your bottle and the staff will open it for you to enjoy at your table. 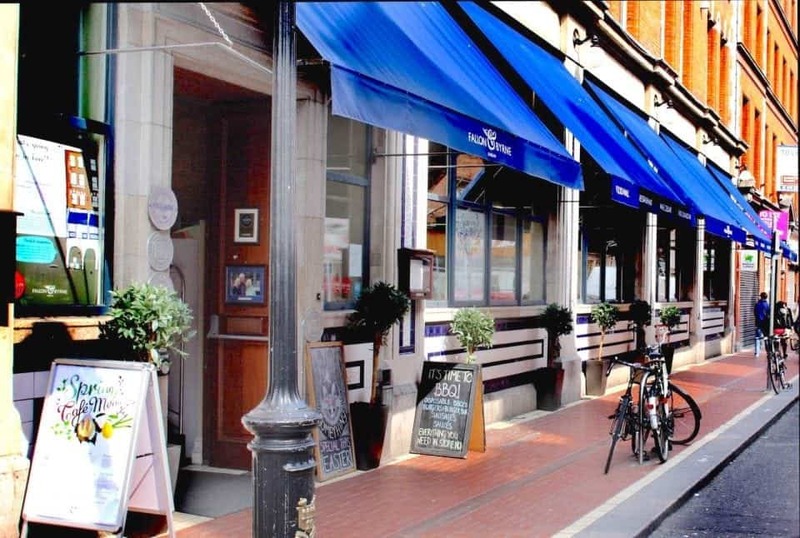 There is a huge variety of pubs and clubs to hang out in around Dublin. Most Irish love to hit the pub for a drink and some craic (good fun) and simply hang out and chat with friends and strangers. There is nothing like an Irish pub to get the feel for the country and make some new friends. 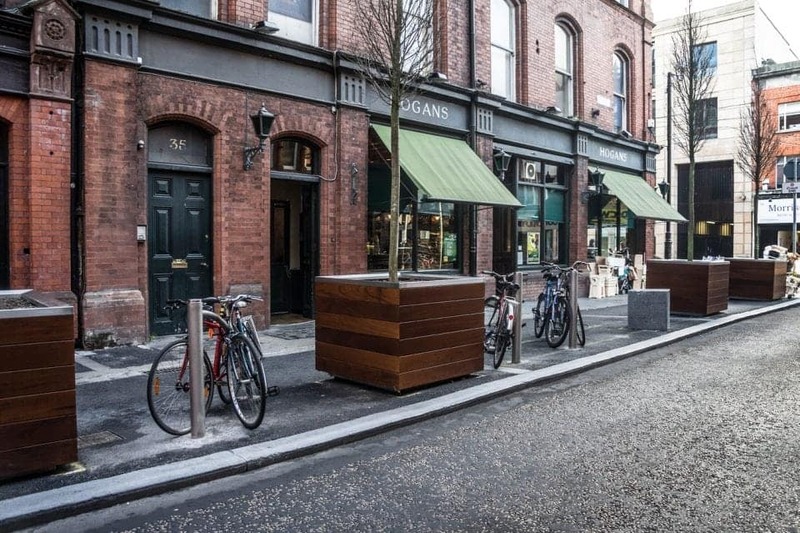 Dublin is a small walkable city with plenty to see and do and here are some more articles you may want to check out before you go. The oldest monastic site in Ireland at Glendalough is a must visit. I wish I had read your article before we went to Dublin! I would love to have a pint of Guiness where James Joyce and Johnatan Swift hung out. We also miss good Irish craic and trad music. I enjoyed reading your article and thank you for sharing these pubs. Wow! What a great comprehensive list of Dublin boozers! That would make one hell of a pub crawl…I just don’t fancy the hangover I’d have afterwards ? ?